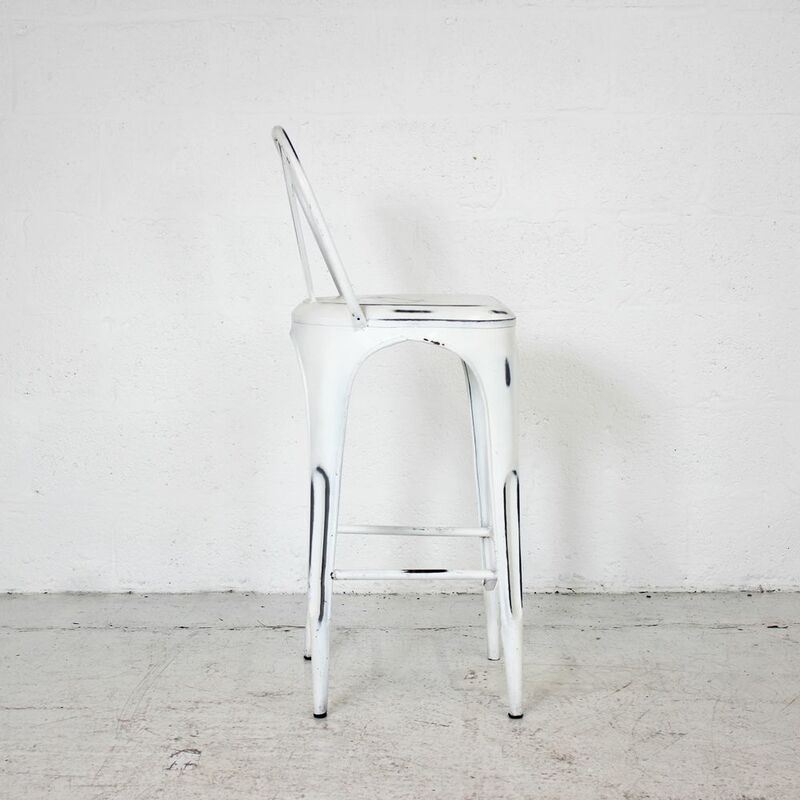 Suited within the office area, canteen, breakout areas or even at home, these white metal canteen stools are finished in a distressed white that provides a modern vintage look. 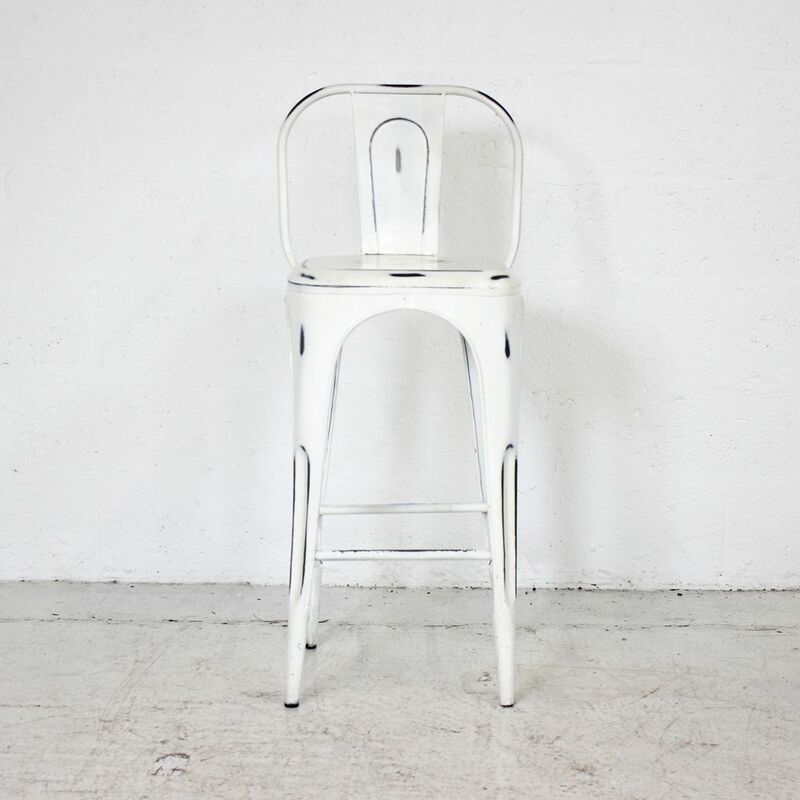 A robust build that includes a backrest provides comfort and ease of use for the user. 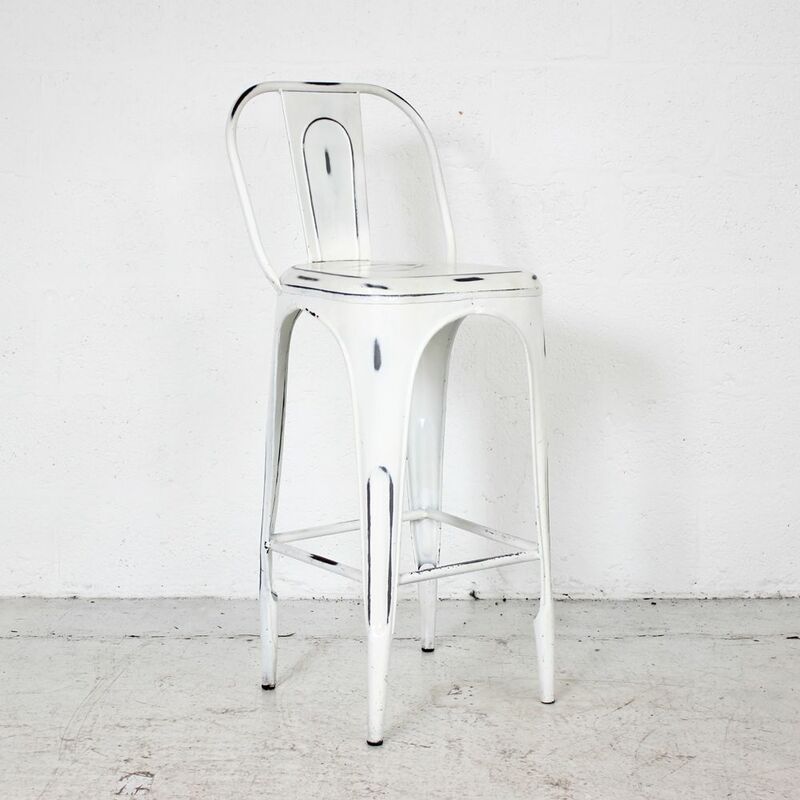 Their light weight design allows the user to easily manoeuvre the stools. 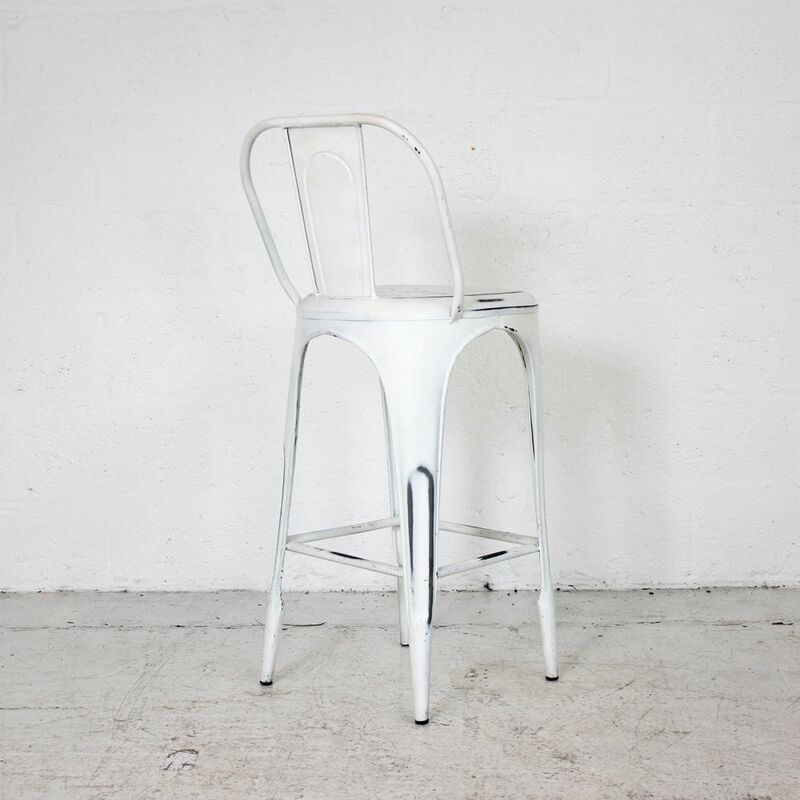 If you're looking for quality used modern high stool like this vintage stool then Barkham Office Furniture is the place to visit. For more information on the rustic stool please don't hesitate to get in touch.